When you self-publish your memoir, you get to select your cover art. And it’s important to accurately reflect your genre, because your book cover is your most effective point-of-purchase marketing tool! Get it right and readers will be hitting the “buy now” button—get it wrong and sales will suffer. 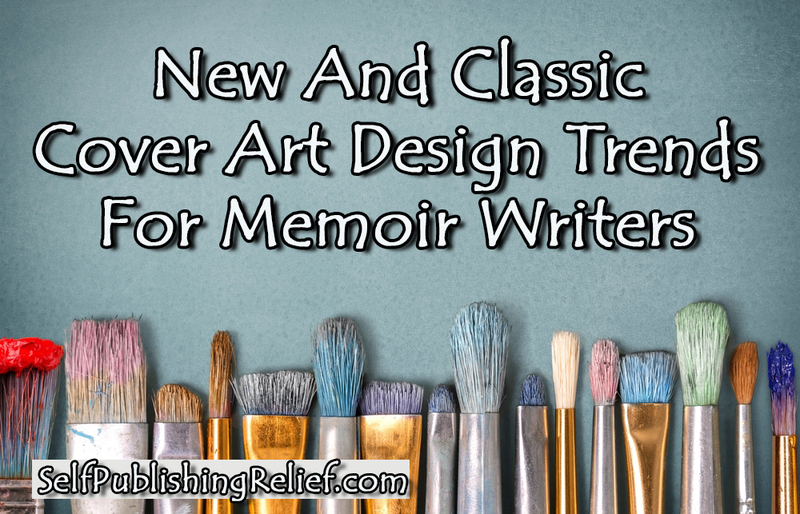 Self-Publishing Relief shows you the memoir and autobiography cover art design trends that are attracting readers on various best-seller lists! Minimalism. 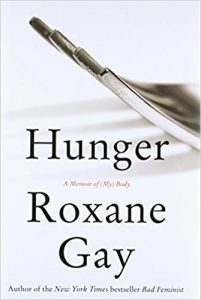 In Hunger, Roxane Gay tackles the relationship between food, body, and mind from a feminist perspective. For the cover art of this memoir, minimalism has maximum effectiveness. Her publisher, HarperCollins, opted for cover art that is simple, clean—empty—with a contemporary modern art vibe. Real photos. If you have a fabulous, compelling photo of yourself that reflects your story in some way, you might want to use it (provided you hold the copyright to the image, of course). 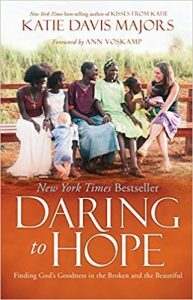 Check out Katie Davis Majors’ cover art for Daring To Hope, which is a snapshot of her in Uganda. Color. 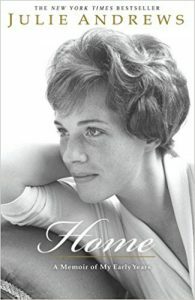 Uplifting memoirs using uplifting color schemes continue to appeal to readers. 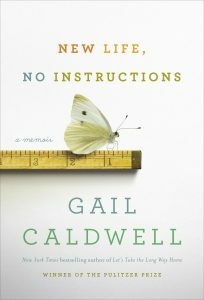 The modern color palette of Gail Caldwell’s memoir New Life, No Instructions is buoyant but not ooey-gooey sweet. Bold, horizontal lines are interrupted by the more organic, fragile curves of a moth—and the juxtaposition hints there’s a story here to be told! Just words. 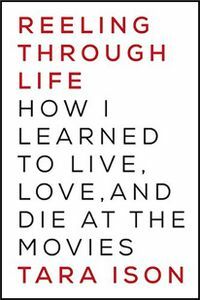 Memoirs that focus on the book title at the exclusion of images make pop-up appearances on best-seller lists, and Tara Ison’s Reeling Through Life makes a strong impression. A title-forward book cover has some advantages: it could be inexpensive to design, it stands out, and it’s easy to read even when the cover art is made smaller on computer screens and phones. Natural wonders. Nature can be attractive and evocative. 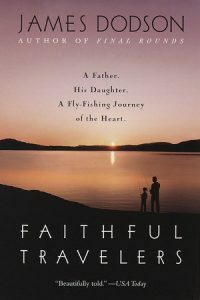 James Dodson’s memoir Faithful Travelers is about fly-fishing with his daughter, and his cover art calls to mind a journey that’s quiet, epic, and timeless. Which Cover Art Trend Is Best For Your Memoir? One of the best things about self-publishing is that you have control over your product—which means you can change your cover art design at any time. If your book isn’t selling well using one type of cover art, consider changing it! And be glad you’re a self-published writer—traditionally published writers have to request a redesign. Question: Which cover art trend do you like best from our list? “Natural wonders” may be popular–probably because the only easier one to do is “just words”–but its also cliche. There’s so many people using it that is doesn’t really stand out.